With that, the Greek government and EU officials are back to square one when it comes to negotiating economic reforms that could allow Greece to stay in the euro zone, prevent debt contagion, and maintain the stability of the euro. 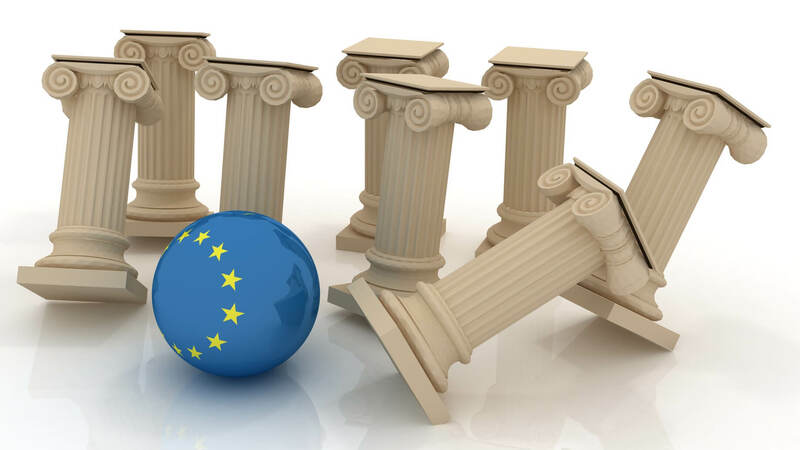 The next few days could be mired in a lot of forex uncertainty, as the head honchos of the EU are likely to schedule more emergency meetings before Greece’s next debt repayment to the ECB by July 20. Speaking of equities, last week’s free fall in China’s stock market has also been sending jitters across the forex market. So far, Chinese equities are down nearly 30% from their June 12 high, amounting to a loss of roughly $2.7 trillion in less than a month. To put things in perspective, that’s one fourth of the country’s total economic output in the past year and is enough to pay Greece’s entire foreign debt six times! Because of that, Chinese government officials rushed to come up with stopgap measures over the weekend. The China Securities Regulatory Commission (CSRC) announced a suspension of initial public offerings and convinced several brokerage firms to set up a fund of at least $19.4 million to buy blue-chip stocks in hopes of putting an end to the bloodbath. That’s on top of the PBoC’s recent easing efforts, which involved pumping liquidity through reverse repos and several rate cuts. If you’re sensing a bit of desperation here, you’re not alone! Several financial analysts have remarked that Chinese investors, companies, and consumers are starting to lose their faith in the government’s and central bank’s ability to stabilize the stock market. If these fresh stimulus efforts still don’t work out, further declines in the Chinese stock market could have significant repercussions on local demand and the rest of the global economy. 3. Another potential oil price slide? As I’ve discussed in my Global Inflation Update, most major economies are still struggling to recover from the aftermath of the oil price slump last year yet it seems that another tumble is about to take place. Remember when the EU imposed an oil embargo against Iran in 2012 for its nuclear program? Well, these sanctions are set to be lifted soon and Iran is vowing to double its oil production to celebrate their return to the export market. Iran’s deputy oil minister for planning and supervision, Mansour Moazami, mentioned in an interview that the country plans on ramping up its oil production to 2.3 million barrels a day. Apart from that, Iran is also pushing the other members of the Organization of Petroleum Exporting Countries (OPEC) to increase production levels, effectively leading to a rise in supply enough to edge out the competition from U.S. oil producers. If you’ve paid attention in your Economics 101 class, then you’d know that an increase in supply without much change in demand would drive prices down. And if you’ve kept track of how the recent oil price slide has affected other commodity prices and overall inflation levels, you could tell that Iran’s moves might mean trouble. During these instances of global economic uncertainty, the last thing the market needs is central bank tightening from the world’s top economy. After all, an interest rate hike would mean higher borrowing costs and lower liquidity, which might dampen business investment and consumer spending in the U.S. economy. On top of that, monetary policy tightening could also put downward pressure on inflation. Then again, the disappointing June jobs report might discourage Fed officials from hiking interest rates in September, especially with this backdrop of financial market turmoil from Greece and China plus another potential decline in commodity prices. Nonetheless, the U.S. dollar could remain supported due to its safe-haven status, along with other lower-yielding currencies like the Japanese yen, during these unprecedented times.